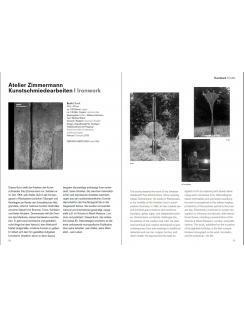 This book presents the work of the Swabian metalsmith Paul Zimmermann. 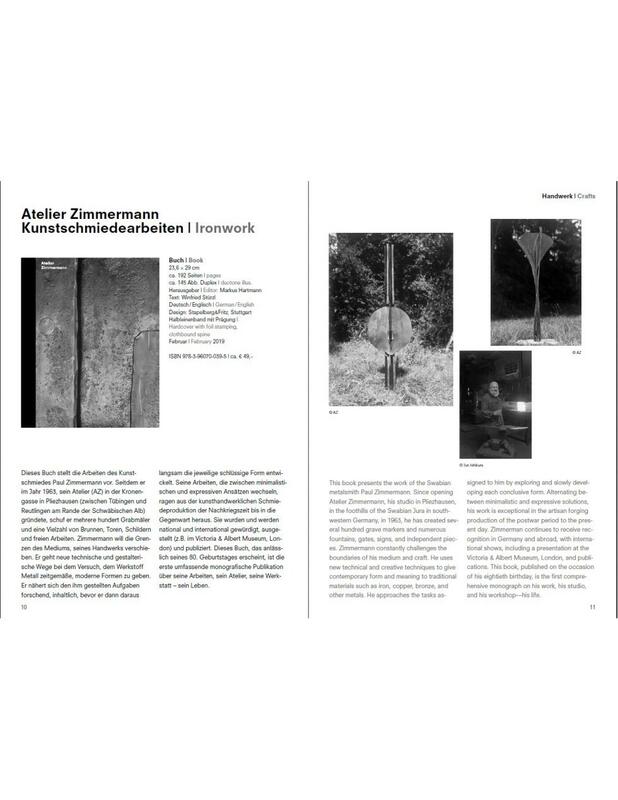 Since opening Atelier Zimmermann, his studio in Pliezhausen, in the foothills of the Swabian Jura in south-western Germany, in 1963, he has created several hundred grave markers and numerous fountains, gates, signs, and independent pieces. Zimmermann constantly challenges the boundaries of his medium and craft. 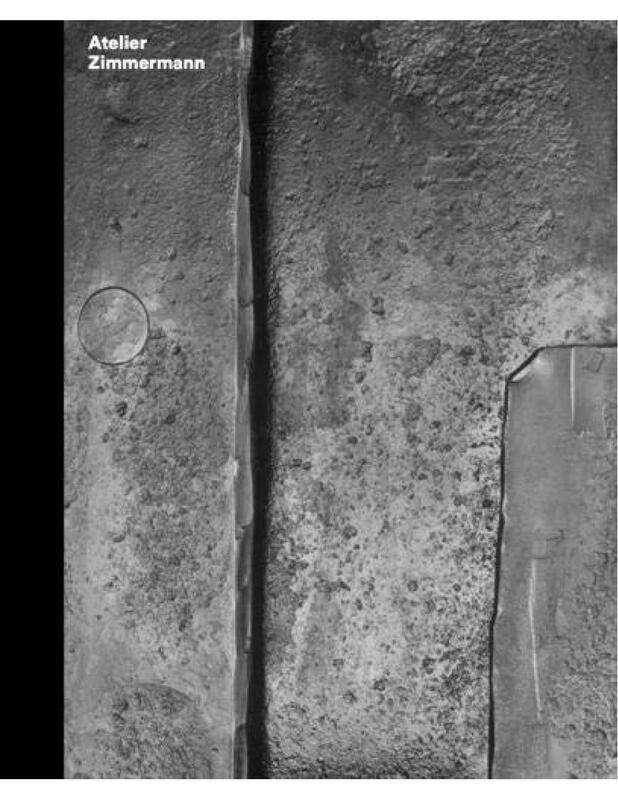 He uses new technical and creative techniques to give contemporary form and meaning to traditional materials such as iron, copper, bronze, and other metals. He approaches the tasks assigned to him by exploring and slowly developing each conclusive form. 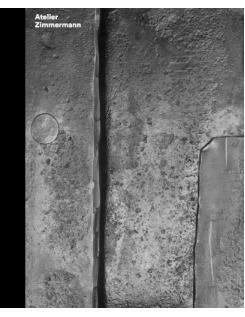 Alternating between minimalistic and expressive solutions, his work is exceptional in the artisan forging production of the postwar period to the present day. Zimmerman continues to receive recognition in Germany and abroad, with international shows, including a presentation at the Victoria & Albert Museum, London, and publications. This book, published on the occasion of his eightieth birthday, is the first comprehensive monograph on his work, his studio, and his workshop - his life.